November 2016 marks the 45th anniversary of National University and as the University’s fifth president, I am honored to reflect upon its history and celebrate its achievements. In 1971, National University opened its doors as one of the first institutions in the United States to recognize and focus on the unique educational needs of non-traditional learners. 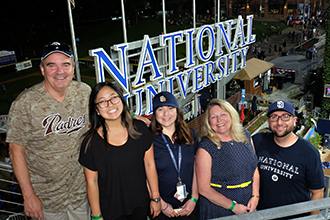 The founder of National University, Dr. David Chigos, an executive from General Dynamics, opened the University with a particular focus on serving the educational needs of veterans who were transitioning to civilian life. As Veteran’s Day is quickly approaching, we mark this date as a special time to honor our veterans and the sacrifices that they have made. Our University was founded on the principle of serving this community and we are proud to offer resources through partnerships, programs and scholarships to assist these students in achieving their educational goals. As we want to continue to support the successful transition of veterans into civilian life, we are pleased to host the San Diego Veterans Leadership Summit on November 4 that will offer a veterans and members of the military community the chance to network and learn from industry experts on enhancing their business leadership skills. The event’s keynote speaker will be Stedman Graham, who is a professor at National University, a New York Times bestselling author and widely-regarded speaker on Identity Leadership and his proprietary 9-Step Success Process. In addition, on November 7 we will be honoring our veteran students and alumni at our Spectrum Campus. While we pay special tribute to our veteran population on these days, we adhere to our roots of serving military and veteran students in meaningful ways throughout the year and I encourage everyone to reflect on the many ways we can give back and make a positive impact on our community. When National University was founded in 1971, innovations in higher education were on the verge of making it accessible to a broader and far more diverse slice of the population. Our commitment to providing the support and resources to meet students’ needs remains our top priority and will continue to play a key role in guiding this University forward. We are dedicated to providing resources such as the Student Concierge Service and Veteran Center to assist our students in achieving their education goals. 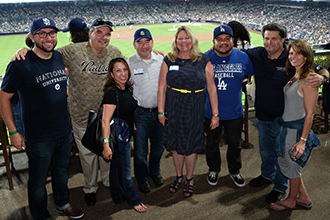 Our alumni network grows each year, and we are proud and honored to celebrate their achievements and contributions. We look forward to cultivating and increasing our community partnerships to create more educational opportunities for our students and the community. As we look toward the future, we will continue to set the pace for adult education and lifelong learning by providing superior programs and services that are market-relevant and result in meaningful learning. In closing, I’d like to thank all members of the military and veterans for their service. And I’d also like to thank those who give back to their community by volunteering in local philanthropic efforts and continue to make positive contributions to society.